Mollie Tibbetts, a 20-year-old former Bay Area resident who now lives in a small town in Iowa, has been missing for two weeks, and investigators have few clues as to her whereabouts, officials said. On Wednesday, investigators said they've looked into a possible sighting of Tibbetts at a truck stop in Missouri, more than 230 miles from where she disappeared, but they provided no other details. Tibbetts' mother, Laura Calderwood, said she hasn't been contacted about the possible sighting, and she hopes people continue to focus on the search. They're working with Crimestoppers to pursue more leads. "You know, Crimestoppers is completely anonymous, and I know that they’ve had a great amount of success in keeping their leads anonymous," she said. 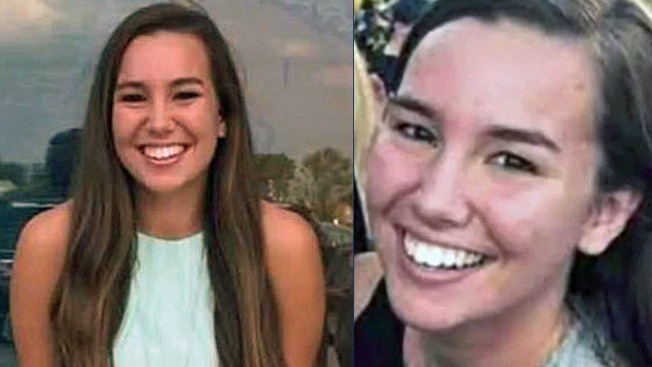 Last week, the FBI joined the massive search for Tibbetts, who grew up in Oakland and went missing July 18 from Brooklyn, Iowa, authorities said. That night, Tibbetts left a house in that small town where she was dogsitting to go on an evening jog and hasn't been seen since, authorities said. She did not show up at her job the next morning, according to the Poweshiek County Sheriff's Office. The last thing she did was send a Snapchat of herself to her boyfriend. "She's not gonna run off. I don't know," Dalton Jack said. "I try not to speculate on it too much because the only thing that comes into your head whenever you're not investigating all the facts is that something bad happened, and you don't, I personally don't, wanna believe that." Tibbetts is described as 5 feet, 2 inches tall with long brown hair and brown eyes. Investigators said she wears a Fitbit, and they're hoping to get some information from the interactive bracelet. Family members also are involved in the search and volunteers have been plastering the area with missing posters, according to NBC affiliate KWWL. "We are looking, we are doing everything we can, and we will never stop. Never," Tibbetts' aunt, Kim Calderwood, told the television station last week. Tibbetts is a student at the University of Iowa in Iowa City, about 50 miles east of Brooklyn. Sheriff's detectives have not said whether foul play is suspected. But they said Tuesday that about 30 to 40 investigators, including K-9 units, are working on the case every day, and they've received more than 200 leads, with additional tips coming daily. The Tibbetts family has been gathering donations for a reward fund for information leading to her safe return home. The reward will be announced Thursday. NBC Bay Area's Sergio Quintana and Bay City News contributed to this report.